I’ve stated it many times, risk and insurance is a personal choice. Through my years of practice I’ve come to the realization I don’t trust anyone else making the right decision when it comes to risk and insurance. When data exists to support that there is a greater risk of an event happening it makes sense (at least to me) that insurance needs to be considered. With that being said Oregon umbrella insurance that includes uninsured and underinsured motorist protection is a must. A personal umbrella policy is designed to give added liability protection above and beyond the limits on homeowners, auto, and other personal lines insurance policies. This protection is designed to “kick-in” when the liability limits on other current policies have been exhausted. The uninsured motorist and underinsured motorist coverage provides additional protection over the limits of your personal auto policy, it will protect you against damages suffered in an accident caused by a driver with no liability insurance or insufficient liability insurance. A recent article from the September 2nd print edition of the Oregonian titled Portland needs a crash course in safe driving suggests that Portland drivers who have gone seven years between auto collisions should feel lucky. The article cites new analysis by Allstate insurance company showing that Portlanders are in a collision (on average) every 6.9 years. Yikes! Portland is ranked 183 among the 200 largest U.S. cities. The report cited that one possible reason for this is Portlanders slam the brakes more often. Allstate collected data from customers’ cars that show Portlanders experience 18.4 “hard-braking events” for 1,000 miles driven, compared with the national average of 16. Interpretation of the data: An increase in collision accidents leads to increased chances of being injured or injuring someone else. 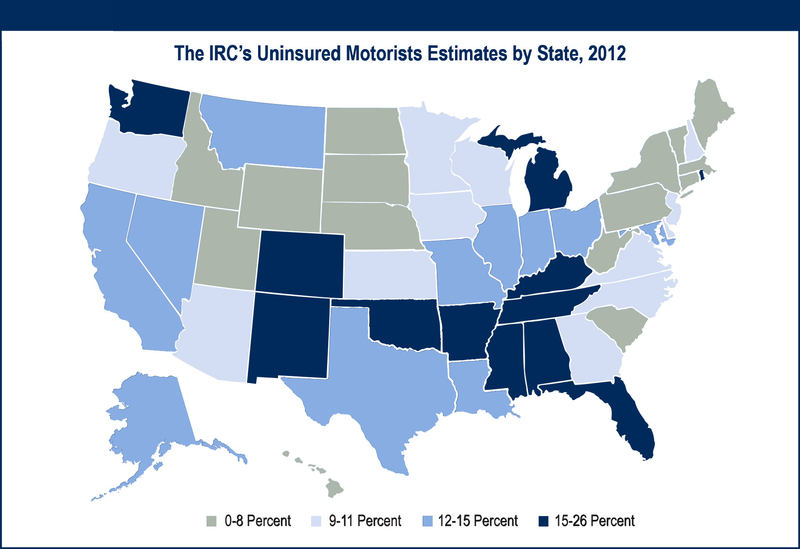 Interpretation of the data: While the above study states that 9%-11% of Oregon drivers uninsured it does not address how many drivers are underinsured. The state minimum liability limits are $15,000 of bodily injury to any one person and $25,000 of bodily injury per accident are insufficient if someone is severely injured in an accident. If you haven’t been admitted to the hospital recently be prepared for sticker shock. What’s the likelihood the driver who caused the accident carried the maximum liability limits offered by their insurance carrier? The maximum liability limits in place would most likely be $500,000. What’s the likelihood the driver who caused the accident had a personal umbrella policy in place? Based on a February 2013 Consumer Reports study only 10% of homeowners carry umbrella insurance. What’s the likelihood those individuals who were injured not just carried an umbrella policy but had uninsured / underinsured motorist coverage as part of it? Interpretation of the data: Whether or not you are aware of it accidents like above happen more often than you might realize. The cost of medical care is expensive, if you have an injury that disables you can be even more worse of. Even though you might not have assets of $1,000,000 don’t trust the driver behind you to be carrying the right insurance coverage. Trust no one. Fortunately there is an option available where you can protect yourself if someone else does not carry sufficient auto liability limits. As stated above having an Oregon umbrella insurance that includes Excess Uninsured Motorist and Underinsured Motorist coverage is a smart choice. This important coverage provides additional protection over the uninsured motorist and underinsured motorist coverage provided by your personal auto policy, it will protect you against damages suffered in an accident caused by a driver with no liability insurance or insufficient liability insurance. You need to be aware that this protection is not offered by all insurance carriers. Make certain you request it if it is not offered to you. This article is intended for informational purposes only and is not insurance advice or a substitute for consultation with a licensed insurance broker to address your particular risk or circumstance.